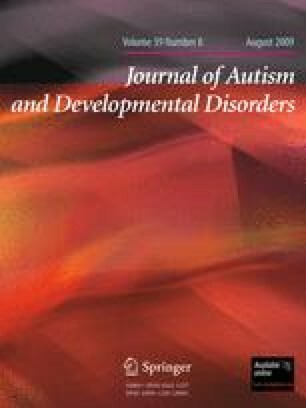 Factor structure and relationship between core features of autism (social impairments, communication difficulties, and restricted, repetitive behaviours or interests (RRBIs)) were explored in 189 children from the Twins Early Development Study, diagnosed with autistic spectrum disorders (ASDs) using the Development and Wellbeing Assessment (DAWBA; Goodman et al. in J Child Psychol Psyc 41:645–655, 2000). A bottom-up approach (analysis 1) used principal component factor analysis of DAWBA items indicating five factors, the first three mapping on the triad. In analysis 2, applying top-down DSM-IV criteria, correlations between domains were modest, strongest between social and communication difficulties. Cross-twin cross-trait correlations suggested small shared genetic effects between RRBIs and other symptoms. These findings from a clinical sample of twins indicate a fractionation of social/communicative and RRBI symptoms in ASD. The first author is funded by an Autism Speaks fellowship grant to Dr Francesca Happé. Patrick Bolton is supported by the UK NIHR Biomedical Research Centre for Mental Health at the Institute of Psychiatry, Kings College London and The South London and Maudsley NHS Foundation Trust. The Twins Early Development Study (TEDS) is funded by a Medical Research Council (MRC) program grant G0500079, and the Social Relationships Study is funded by MRC grant G0500870. The authors would like to thank the staff involved in the collection and processing of research information in TEDS. Moreover, we would like to thank all families who have and are still participating in TEDS.